Now one helmet can cover all your needs! This versatile, rugged, NZ made helmet with NZS8600 Safety Standard, is perfect for farming, agriculture, horticulture, forestry, and tourism operators. Tags: ag hat, aghat, all-terrain vehicle, atv helmet. This versatile, lightweight helmet has been designed to meet the need of the working professional. With its rugged construction, light weight, and fully ventilated shell it’s just the ticket for comfortable all day use, and makes the AgHat far more practical than a much heavier motorcycle helmet. And its multi-fit, so no hassles trying to find the right size – just adjust it to your own head and away you go! This helmet is an essential piece of equipment for anyone using an ATV for work purposes. Its usefulness is further enhanced by the ability to add optional, industry standard fittings such as earmuffs, face shields, neck curtains and sun brims. 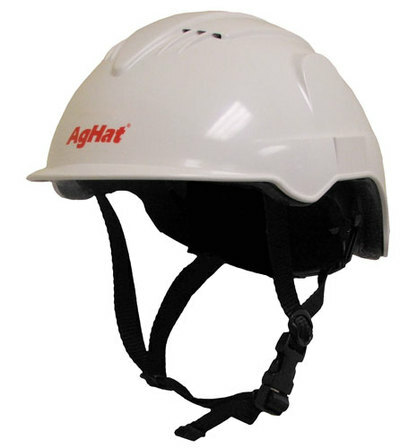 Stay protected, and avoid the fine… get yourself an AgHat ATV Helmet today!